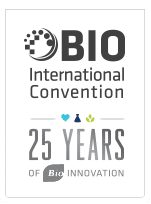 The Rallybio team is excited about the BIO International Convention that kicks off on Monday in Boston. Over 17,000 biotech colleagues from 74 countries will converge on the Boston Convention & Exhibition Center and the Rallybio team has a full schedule of dozens of partnering meetings. We are going to be based out of the Connecticut sponsored booth so if you’re going to be at the conference, swing by the booth and say hello.